What do you do with a spare World War II biplane engine? Make it into a functional art like this coffee table. 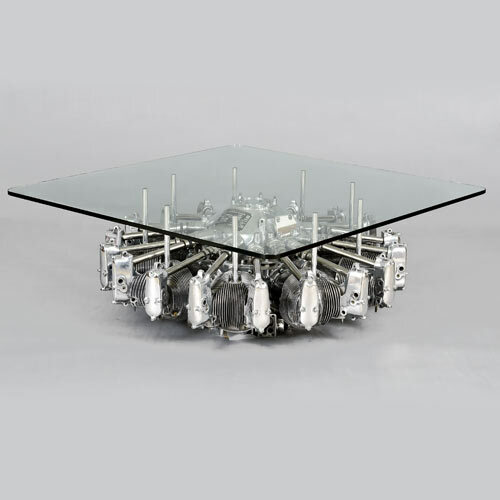 Currently on display at Decoratum Gallery in London, the Cylinder Radial Engine Table is made from a US Army Boeing-Stearman PT-13 engine acquired from the Canadian Museum of Flight, Langley, British Columbia. 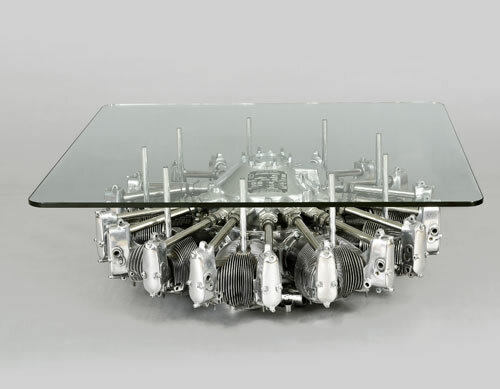 Constructed between 1936 and 1938, the innovative piece features a simple clear glass top so you can see through to the complex engine workings below.